Are you resilient, patient, empathetic, diplomatic and persuasive? Are you data-driven or enjoy communicating numbers-heavy material? That teaches you new technical skills for a better understanding of business. Mercer offers many exciting internship/co-op opportunities, and entry-level positions as actuarial and HR consulting analysts. We are looking for those who are passionate about making a difference in the health, wealth and careers of the people whose lives they touch. If you’re a problem solver, team player, strong communicator and keen observer, we encourage you to explore opportunities at Mercer. Download our Mercer Match app to play games and discover your personal profile. Jump-start your career by engaging with industry experts on innovative projects. You will have the experience of a full-time analyst role and gain valuable insights into the world of professional services. Mercer offers internship/co-op opportunities in Health, Wealth and Career Consulting. All undergraduate majors are welcome to apply. See more details below. After completing at least one SOA exam, begin your career working with the leading Human Capital Consulting Firm as an entry-level actuarial analyst. Early in their careers, actuarial analysts will have a high level of responsibility with exposure to clients. You will work closely with senior consultants to design, finance, price, and administer client’s health and welfare programs. Mercer supports its actuaries through our Actuarial Study Program. We provide support through paid study and exam time, monetary reimbursement for materials and tests, internal guidance and study resources, and rewards for exam success and obtaining designations. As a consulting analyst, you will help collect, analyze and interpret data for client reports. You’ll also write and structure client communications, including proposals, reports, spreadsheets and presentations. With a solid practical and analytical foundation of the industry, you will strengthen your future career path. Health analysts work with client health plans. Career analysts have a dual understanding of finance and human behavior. Wealth analysts work on accounting and math-based projects. At Mercer, you will make an impact doing meaningful work. We care about our employees and their career trajectory, and have multiple programs to support employees in building their career. We value diversity and work to foster understanding, inclusion and innovation in the workplace. Business Resource Groups (BRGs) are made up of colleagues with a common identity who receive recognition and support by the company. Members gain professional development and leadership opportunities that also help Mercer achieve its strategic business imperatives. Volunteering and caring for our communities is also a core component of our workplace culture. Find out about the many ways that Mercer colleagues give back, from our global Mercer Cares program to the paid day off Mercer gives to each colleague every year for volunteering. "When I first started at Mercer, it quickly dawned on me that I did not want my time to come to a close after my 6 month internship ended. I wanted Mercer to be more than just a stepping stone in my career, I wanted it to BE my career." "Mercer has given me a say in where my career goes and I really can choose the direction in which I want to head. 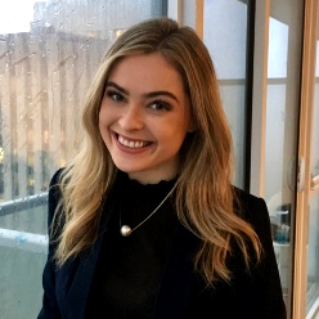 I’ve been heading more into project management, even though that’s not in my job description, and Mercer is allowing me to continue developing those skills." Are you going to graduate in the next academic years? If so, jumpstart your career at Mercer through our internship/co-op opportunities. Mercer’s internship/co-op programs look to hire qualified candidates who are interested in working at Mercer full-time after graduation. Mercer offers paid internship/co-op opportunities in offices across Canada within the Health, Wealth, and Career businesses. To be eligible for consideration in our internship/co-op programs, candidates must be authorized to work in Canada. Mercer is an equal opportunity employer. Imagine what your career could look like at Mercer. André-Philippe joined Mercer as an intern. 7 years later, he was promoted to senior associate. After two summer internships, Brittany decided to start her career at Mercer. Four years later, Brittany continues to learn and grow within the Mercer community. Austin has enriched his day-to-day role at Mercer with multiple leadership opportunities, including starting Mercer Atlanta’s Racial and Ethnic Diversity group. Michael has taken advantage of many opportunities Mercer has for their employees, including a six-month global rotational program. Meet Us: Not sure where to find us? Ask someone at your career center. We encourage you to attend our events, meet our people and gain a better understanding of what it is like to work at Mercer. Job Search: Search for open positions on our website and at your career center. Apply: Submit your application online. Your school may require you to submit an application through your career center in addition to our website, especially if we are hosting interviews at your school. Resume Review: Once we receive your application, we’ll review your resume and qualifications. If they match up to the position’s requirements, we’ll invite you to an interview. Interview: If you’re selected for an interview, we’ll set up time for a one-on-one interview on campus or via HireVue, which is similar to Skype. If you are selected to proceed past the first interview, you’ll have on-site one-on-one behavioral interviews. Offer: We will call to let you know if you are receiving an offer, followed by a confirmation email. Decision deadlines vary depending on the time of year and your school’s recruiting policy. Stay in touch: If you accept our offer, you’ll hear from us from time to time before your start date. If you have questions, you can contact your Talent Acquisition Consultant anytime. If you’re applying for an internship or co-op placement in our Career business, you may also be asked to take tests that incorporate case studies and quantitative analysis. For tips on interviewing, check out 7 Interview Tips That Defy Convention and watch this video on how to ensure a successful video interview. Stay in touch through our various social media outlets. We want you to join our Mercer family and start making your own tomorrow, today. 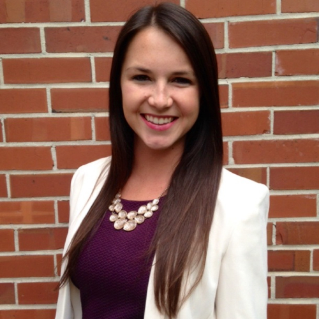 Mercer Intern Blog: What is it like to intern for Mercer? Hear straight from the source, our interns. Follow us on Instagram @mercercampus: See what our current interns are up to. Like us on Facebook: Keep up to date on deadlines.